A kitchen remodel is perhaps one of the most exciting home improvement projects to undertake. If you have been tasked with creating a new kitchen design for your client, stop by ProSource® of South Indianapolis today. We can walk you through your design options and help you find the best products to fit both the space and your client’s budget. Whether you help create a modern look or you assist in creating a traditional kitchen space, we will work with you to ensure your client loves the result and has products that will last for years to come—all at wholesale pricing. 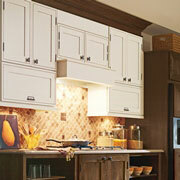 Put away the clutter with the right set of kitchen cabinets. Not only can cabinets help keep the room organized, they can also tie a design together with the right materials. Talk to us about the best cabinets for your client’s space. 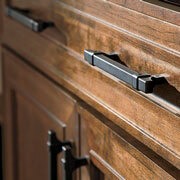 Put the finishing touches on your client’s upgraded kitchen cabinets with the right hardware. From simple handles and knobs to ornate styles, we carry all the cabinet hardware you need to complete the project. 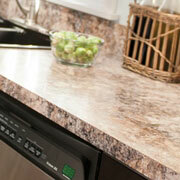 Wrapping around the kitchen, the countertops play a crucial role in the appearance of a kitchen. Look at granite, quartz, marble, and more when you shop at ProSource of South Indianapolis for new countertops. Over time, kitchen sinks undergo a lot of wear and tear. For this reason, we carry the highest quality brands of kitchen sinks, to ensure your client will be happy for years to come. The best part? 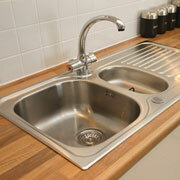 Our kitchen sinks are sold at wholesale pricing. 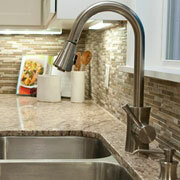 Looking for a kitchen faucet with a convenient sprayer? Want something a little extra, such as a filtered water tap? We carry all the kitchen faucets you can imagine. Let us help you find the right fit for your client’s personal taste.